This guide will list the places where I found the most [Volatile Air]. 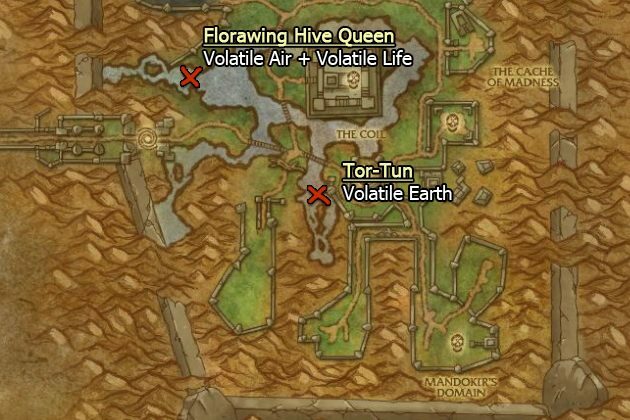 One thing I noticed while farming Volatiles Air is that sometimes you farm for 15 minutes and you don't get a single Volatile, this is just bad luck, don't get discouraged. 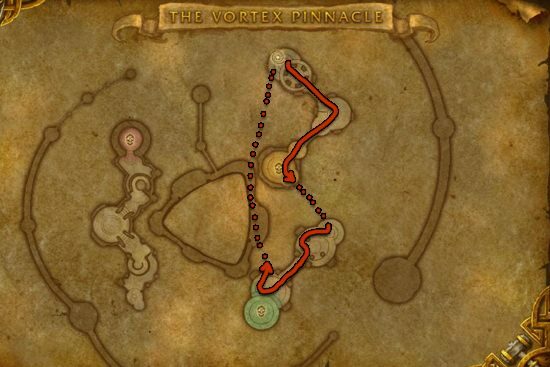 Vortex Pinnacle is the best place to farm Volatile Air, and you can easily solo this instance from level 100. You can find the entrance high in the air in the southeast part of the Uldum, over the ocean. 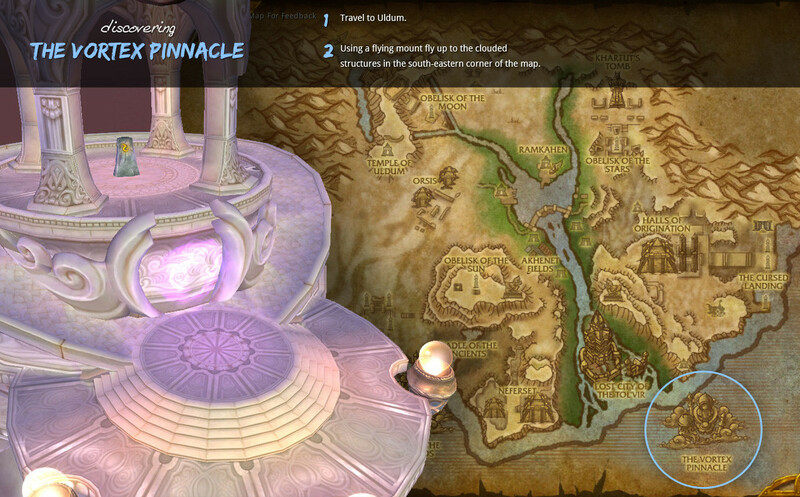 Click here for the exact map location. First, you have to set the instance difficulty to normal (right click your portrait). You can't farm in heroic mode because you can't reset the instance after you kill the first boss. Kill everything until the second boss Altairus, then just simply jump down, you won't die, it will teleport you to the start of the instance. Go outside and reset the instance by right clicking over your own portrait then click the "Reset all instance" button. This restarts the whole instance and all mobs will be back. You can only do 10 instance runs in an hour, this means sometimes you might have to wait a bit. If you are too low level to solo Vortex Pinnacle, you can farm Scion of Al'Akir. There is a lot of them at Uldum and they respwan very quickly. The drop rate is not that great, around a 12%. If you are an Engineer, you can farm Volatile Air with [Electrostatic Condenser], but only if you have a gathering profession.